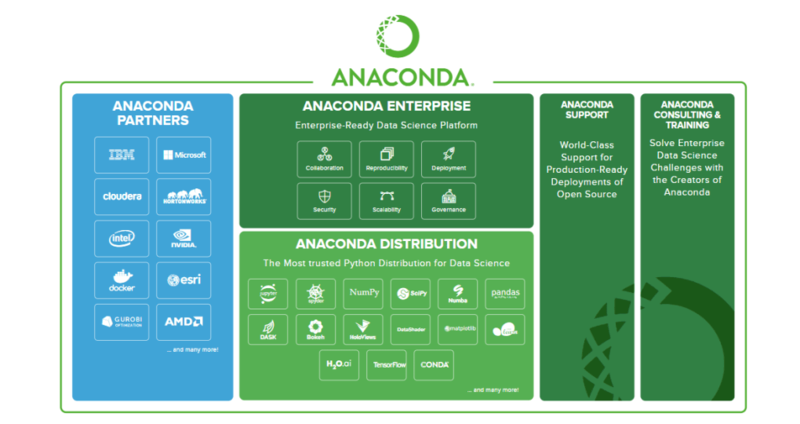 Anaconda is a data science platform based around the Python coding language. The primary purpose of this package is to enable organisations to successfully secure, interpret, scale and store data that is critical for their daily operations. It is estimated that more than 4.5 million users have already downloaded this package. An excellent enterprise-level software platform. All functions and nodes are scalable and can be adjusted when necessary. Users will need to have extensive experience with the Python programming language. May not be the best option for smaller organisations. Anaconda is an enterprise-level software bundle that provides a host of innovative options to the end user. A handful of core benefits include enhanced interdepartmental collaboration, the ability to reproduce data, superior scalability and multiple layers of security. Another primary feature of this package is that it enables organisations to better manage and interpret big data; a key factor for success within the modern business environment. It employs a number of data sources to guarantee redundancy. These include (but are not limited to) cloud-based storage, SQL, NoSQL and Flat Files. Anaconda is modular in nature, so it can be adjusted depending upon the needs of the organisation in question. As it fosters real-time collaboration, levels of in-house efficiency will likewise be improved. Users can enjoy real-time technical support during the deployment of open-source code and as Anaconda is fully compatible with the Python language, the overall learning curve has been dramatically reduced. What do you think about Anaconda? Do you recommend it? Why?